A leading House lawmaker is getting set to introduce a bill that would authorize the use of military force against the Islamic State of Iraq and Levant (ISIL or ISIS), as well as multiple other terror groups, including Ansar al-Sharia, al Shabaab, and Boko Haram. Rep. Frank Wolf (R., Va.) said the new war bill, also known as an AUMF or authorization for use of military force, would "end any ambiguity" about the legality of current U.S. action against ISIL and clearly declare war on the group and its affiliates in the Middle East. The new AUMF—which would complement existing measures authorizing strikes in Iraq and against al Qaeda terrorists—would authorize a U.S.-led international collation to "eliminate" al Qaeda affiliates wherever they are based and "prevent any future acts of international terrorism against the United States or its allies by such terrorist groups," according to a copy of the bill, which will be formally filed by Wolf next week. The Obama administration has so far bypassed Congress and justified limited strikes in Iraq by invoking the president’s constitutional authority. Some lawmakers have questioned the administration’s tactics and expressed concern over its failure to outline clear military objectives. Wolf maintains that the new terrorism AUMF is necessary to provide legal justification for strikes as well as to show that the administration and Congress are unified against ISIL. "The motive behind the bill is to end any ambiguity about the president’s authority—or the Congress’ support—for a U.S.-led international coalition to disrupt and eliminate ISIS and al Qaeda-affiliated terrorist groups from committing genocide," Wolf’s office said in a statement. The "passage of [Wolf’s] bill also would send a clear message to the international community that the United States intends to work with allies to confront and defeat this increasingly dangerous challenge," the statement said. A number of House lawmakers have been discussing the need to take definitive action against these terror groups, Wolf told the Washington Free Beacon on Wednesday. "How can you not do something? We've seen two beheadings. You've had a number of people killed in Syria … you have about 140 of these guys who are Americans and have American passports," Wolf said. "This is not a group you can negotiate with or work out a peace agreement. It's just a group that is coming one way or another so we need to pass something to give the administration the ability" to combat ISIL and its terror allies," Wolf said. "Congress has to participate. We can't just criticize the Obama administration." A new AUMF could also force the Obama administration to develop a more comprehensive and effective strategy against ISIL, al Shabaab, Boko Haram, and a number of other terror groups that have recently been in the news. The threat posed by these groups has not lessened even though coverage of them has largely disappeared from American newspapers, Wolf warned. The bill mainly seeks to update and further powers granted in the 2001 and 2002 AUMFs that permitted military action against the Taliban and Saddam Hussein. The new AUMF is needed to deal with a quickly changing landscape in the Middle East in which ISIL is gaining territory, Wolf said. The bill "would fill in the gaps from past authorizations to deal with the current terrorist threat, including regional al Qaeda-affiliates who at times try to obfuscate the extent of their relationship with al Qaeda leadership," Wolf’s office said. 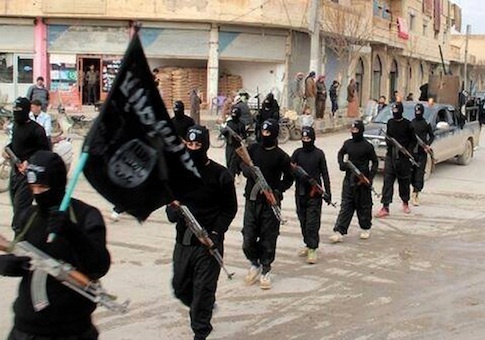 The debate over the legality of these strikes against ISIL must end, Wolf said. "For far too long the Obama administration and the Congress have been debating whether or not authority exists for action to address this threat," Wolf said in a statement. "This resolution would provide clear authority for the president and our military, working with coalition partners, to go after these terrorists, whether in Syria, Iraq, or elsewhere," Wolf said. "We cannot continue operating on outdated authorities passed 13 years ago; it is time for this Congress to vote." The Obama administration is still pushing for a repeal of the 2002 Iraq AUMF, a position that has only complicated its current military campaign against ISIL. Wolf is also seeking to close a legal loophole that enables U.S. citizens fighting alongside ISIL to later return to America, where they would pose a significant terrorism risk. The State Department has declined to reveal exactly how it is tracking U.S. passport holders who are fighting with radicals, though some intelligence estimates put the number at around 300. U.S. officials have admitted that under current laws it is difficult to deny those who may have been fighting with extremists reentrance to America. This entry was posted in National Security and tagged Al Qaeda, Frank Wolf, Iraq, Islamic State, Obama Administration, White House. Bookmark the permalink.